There are moments when even city slickers need a break from the confines of the concrete jungle. Thankfully, Scotland has an abundance of natural havens waiting to be explored. Shake off any reservations you might have about the outdoors and take a hike — literally! Meander your way through your thoughts and appreciate the area’s natural beauty with one of these hikes in and around Edinburgh. The Pentlands are a mere hop, skip, and jump away from the centre of the city. These hills rise majestically to the south of Edinburgh. 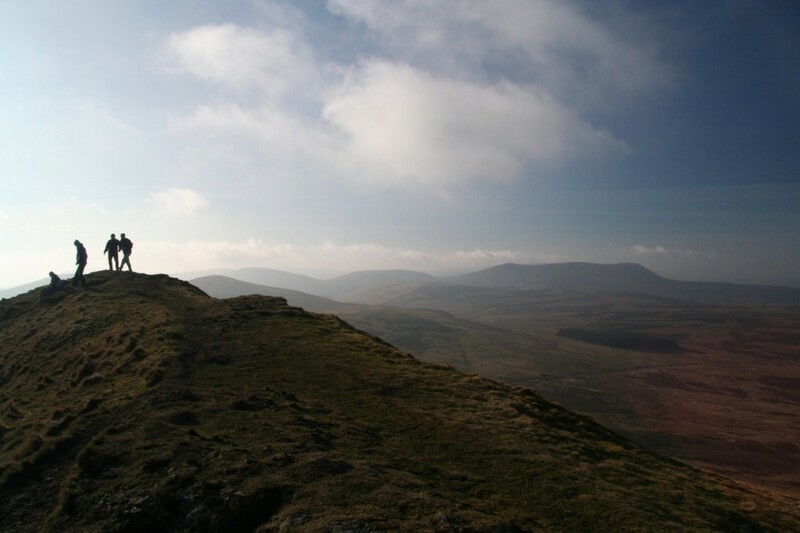 Those who like a bit of ridge walking can take on Carnethy Hill, Scald Law, and the Kips. 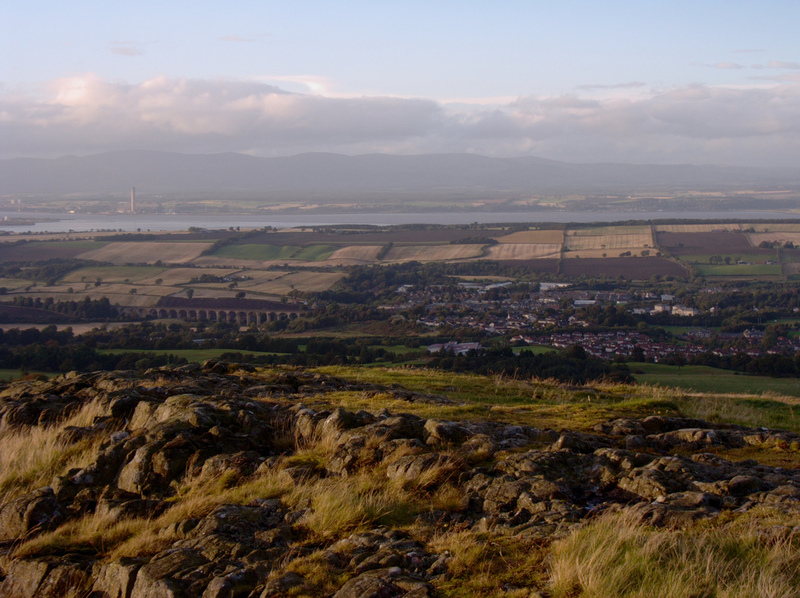 In order to fully appreciate the stunning panoramic views, head to Allermuir Hill. Those who like to get lost and venture off the map can pick any place on the Pentlands. Let your route plan itself. 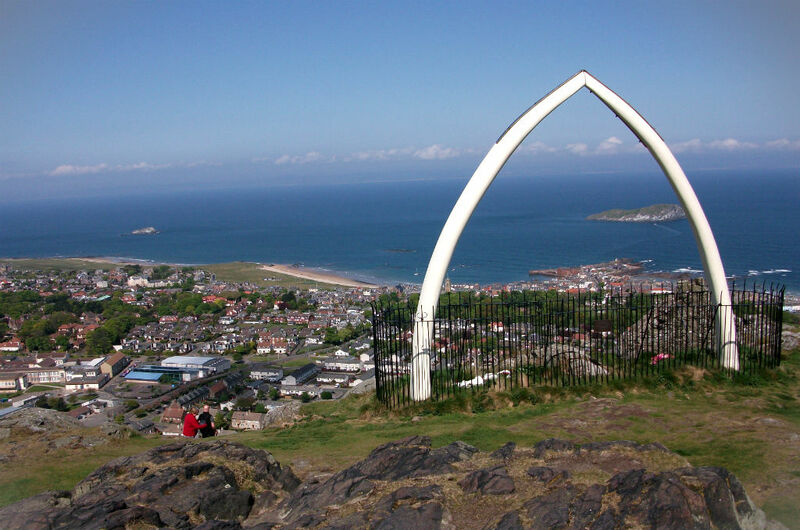 Take the train to the picturesque seaside town of North Berwick and don’t stop walking until you reach North Berwick Law — a striking hill and volcanic plug of hard rock, which was hardy enough to endure erosion from ice age glaciers. As far as terrain is concerned, the ground is relatively clear. There is, however, a rather steep climb on a grassy pathway that wraps around this impressive hill. Expect a few boggy areas here and there, too. The view from the summit is breathtakingly beautiful. Set your sights on the Bass Rock — a famous seabird sanctuary in the middle of the sea — and catch a glimpse of Edinburgh and the Pentlands from a different perspective. The replica whale jawbones (which were once real) offer a unique Kodak moment. Consider Edinburgh a hiking paradise. After all, you don’t even have to leave the city to find decent trails. Arthur’s Seat, impressive as it is, is a prime pick for a proper adventure. Anticipate a somewhat arduous trek, as many areas are incredibly rocky, steep, and rough. The ascent is approximately 279 metres, and the summit is sensational. If desired, it is possible to spend hours at this fascinating historical lump of rock. For instance, hikers often find themselves meandering off in all sorts of directions. Choose from multiple routes and consider exploring the Salisbury Crags — the hard dolerite rocks on the south side are intriguing. James Hutton, the father of geology, used these beauties for his theory of an ancient Earth. Venture to West Lothian and you’ll come across Beecraigs Country Park and the Bathgate Hills, which are dotted about the place. Start at the car park, wander through the wee woods, and begin the ascent of Cockleroy. This hill stands 278 metres above sea level. Consider this the perfect pick for those who want the feeling of a hike without a military-style workout. The ascent is brief and the view is divine. Expect to see Linlithgow, the loch, palace, and kirk, too. The terrain is very manageable, with some forest paths and grassy areas. The land of East Lothian is the epitome of enchanting. Hikers could go on exploring the undulating terrain for weeks. 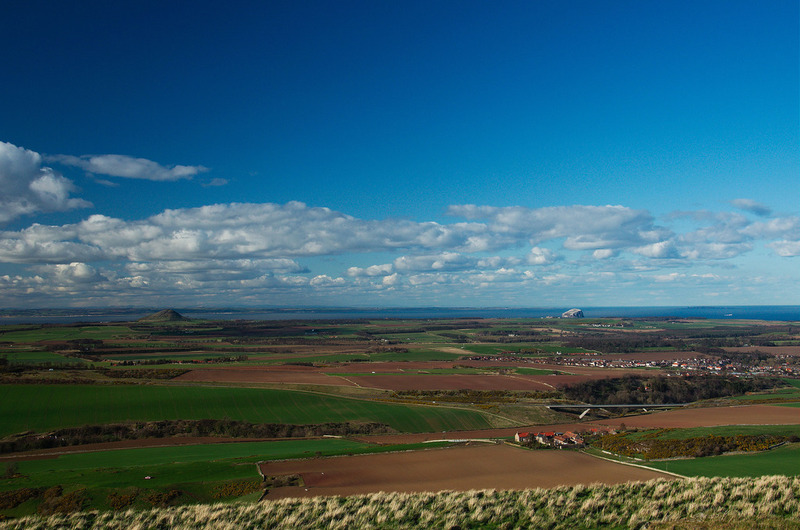 One good spot for a brief hike is the Garleton Hills near Haddington (in fairly close proximity to Gullane and North Berwick). Start at the car park to embark on the exceedingly steep ascent. However, a clear pathway makes the route a no-brainer. Once at the summit, prepare to be enthralled by the Hopetoun Monument, or Garleton Monument to locals. 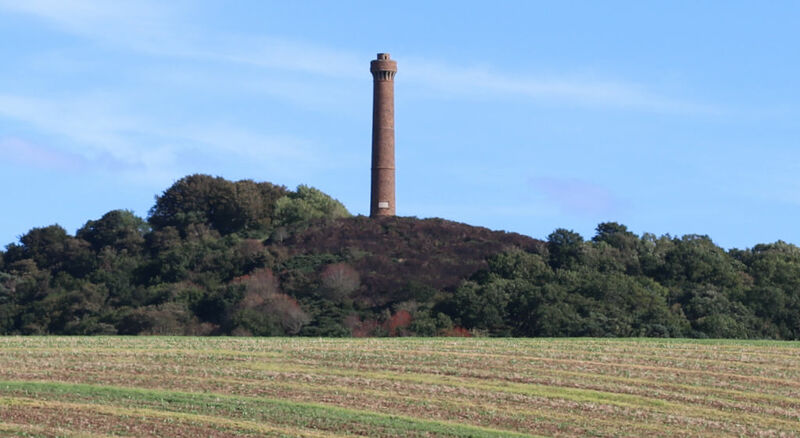 Since 1824, this fine stone wonder has towered over East Lothian, watching its people. It was erected in memory of the fourth Earl of Hopetoun, John Hope. Those who are unfazed by heights or pokey spaces can climb the 132 stone steps. Just keep in mind that only a few slits provide the barely existent light. Still, once the top appears and the light returns like a phoenix from the ashes, the 360-degree view is a little piece of heaven on earth. 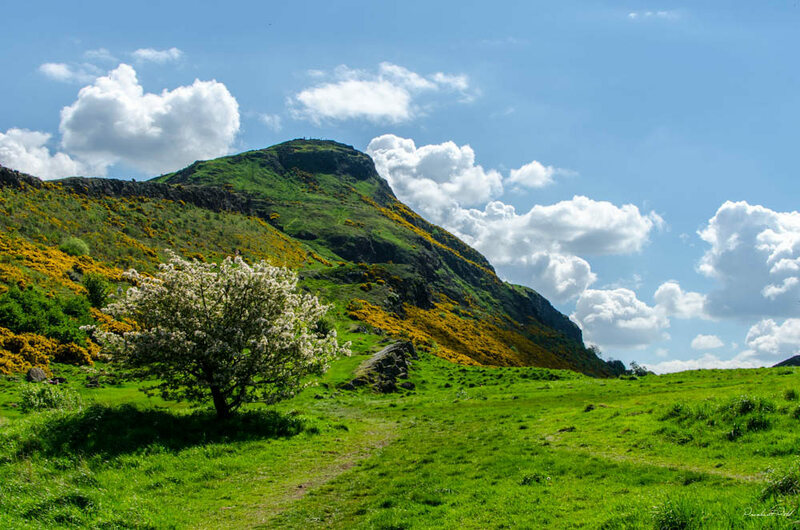 Traprain Law is another appealing hiking spot on the outskirts of Edinburgh in East Lothian. This hill is approximately 221 metres high and is the site of an oppidum or hill fort from back in the day. Many archaeological excavations have taken place on this hill that have unearthed a myriad of truths — and treasures, too. In 1919, an impressive 53 pounds of sliced-up Roman-era silver was discovered. This beauty is hardly steep and completely manageable for not-so-seasoned hikers. Expect grassy earth paths with the occasional rocky outcrop here and there. The climb is short and the summit, like every other in and around this area, offers magnificent views.